How can I access licensure and enforcement data about health care practitioners and establishments regulated by the Florida Department of Health? You can use the online tools to search for licensure and enforcement data about health care practitioners and establishments. Data can be downloaded for licensees, enforcement, MQA reports and statistical data. You may check the status of your application in real time via our Online Services, using your User ID and password. If you lose your User ID and password, contact Licensure Support Services at (850) 488-0595 to get this information. You can view, confirm, or make changes to the information that will be published in your practitioner profile . In carrying our legislative mandate to publish practitioner profiles, we want to ensure the information that we publish is accurate. Accordingly, we ask that you please review your profile for any changes, corrections, and/or omissions. If you see the statement “The practitioner did not provide this mandatory information”, please provide that information. We will not accept curriculum vitae or resumes in place of you providing specific information. Changes, excluding education and training, year began practicing, and liability claims, can be made to your profile electronically by following the instructions below. You may also submit changes by mail to the Department of Health, Licensure Support Services, 4052 Bald Cypress Way, Bin C-10, Tallahassee, Florida 32399-3260. Please note that Chapter 456.042, Florida Statutes, requires practitioners to update profile information within 15 days after a change of an occurrence in each section of your profile. Chapter 456.041(7), Florida Statutes (link), requires you to submit changes to the department within thirty (30) days from receipt of this letter. If you do not make changes within thirty (30) days, your profile will be automatically published. Once you have completed your review and made any necessary corrections, click on “Confirm Changes”. 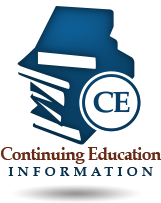 The Practitioner Confirmation Page will display the information that will be published online, at which time you must “Confirm” the profile again before the changes will be implemented. 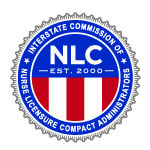 For LPN, RN and APRN – You may request Licensure Verification through Nursys (www.Nursys.com) Please Note: If you are no longer licensed in Florida, your license information may not be available through Nursys. (1)Strict application of uniformly applicable rule requirements can lead to unreasonable, unfair, and unintended results in particular instances. The Legislature finds that it is appropriate in such cases to adopt a procedure for agencies to provide relief to persons subject to regulation. A public employee is not a person subject to regulation under this section for the purpose of petitioning for a variance or waiver to a rule that affects that public employee in his or her capacity as a public employee. Agencies are authorized to grant variances and waivers to requirements of their rules consistent with this section and with rules adopted under the authority of this section. An agency may limit the duration of any grant of a variance or waiver or otherwise impose conditions on the grant only to the extent necessary for the purpose of the underlying statute to be achieved. 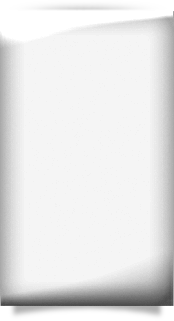 This section does not authorize agencies to grant variances or waivers to statutes or to rules required by the Federal Government for the agency’s implementation or retention of any federally approved or delegated program, except as allowed by the program or when the variance or waiver is also approved by the appropriate agency of the Federal Government. This section is supplemental to, and does not abrogate, the variance and waiver provisions in any other statute. (2)Variances and waivers shall be granted when the person subject to the rule demonstrates that the purpose of the underlying statute will be or has been achieved by other means by the person and when application of a rule would create a substantial hardship or would violate principles of fairness. For purposes of this section, “substantial hardship” means a demonstrated economic, technological, legal, or other type of hardship to the person requesting the variance or waiver. For purposes of this section, “principles of fairness” are violated when the literal application of a rule affects a particular person in a manner significantly different from the way it affects other similarly situated persons who are subject to the rule. (3)The Governor and Cabinet, sitting as the Administration Commission, shall adopt uniform rules of procedure pursuant to the requirements of s. 120.54(5) establishing procedures for granting or denying petitions for variances and waivers. The uniform rules shall include procedures for the granting, denying, or revoking of emergency and temporary variances and waivers. Such provisions may provide for expedited timeframes, waiver of or limited public notice, and limitations on comments on the petition in the case of such temporary or emergency variances and waivers. (4)Agencies shall advise persons of the remedies available through this section and shall provide copies of this section, the uniform rules on variances and waivers, and, if requested, the underlying statute, to persons who inquire about the possibility of relief from rule requirements. (a)The rule from which a variance or waiver is requested. (b)The type of action requested. (c)The specific facts that would justify a waiver or variance for the petitioner. (d)The reason why the variance or the waiver requested would serve the purposes of the underlying statute. (6)Within 15 days after receipt of a petition for variance or waiver, an agency shall provide notice of the petition to the Department of State, which shall publish notice of the petition in the first available issue of the Florida Administrative Weekly. The notice shall contain the name of the petitioner, the date the petition was filed, the rule number and nature of the rule from which variance or waiver is sought, and an explanation of how a copy of the petition can be obtained. The uniform rules shall provide a means for interested persons to provide comments on the petition. (7)Except for requests for emergency variances or waivers, within 30 days after receipt of a petition for a variance or waiver, an agency shall review the petition and request submittal of all additional information that the agency is permitted by this section to require. Within 30 days after receipt of such additional information, the agency shall review it and may request only that information needed to clarify the additional information or to answer new questions raised by or directly related to the additional information. If the petitioner asserts that any request for additional information is not authorized by law or by rule of the affected agency, the agency shall proceed, at the petitioner’s written request, to process the petition. (8)An agency shall grant or deny a petition for variance or waiver within 90 days after receipt of the original petition, the last item of timely requested additional material, or the petitioner’s written request to finish processing the petition. A petition not granted or denied within 90 days after receipt of a completed petition is deemed approved. A copy of the order granting or denying the petition shall be filed with the committee and shall contain a statement of the relevant facts and reasons supporting the agency’s action. The agency shall provide notice of the disposition of the petition to the Department of State, which shall publish the notice in the next available issue of the Florida Administrative Weekly. The notice shall contain the name of the petitioner, the date the petition was filed, the rule number and nature of the rule from which the waiver or variance is sought, a reference to the place and date of publication of the notice of the petition, the date of the order denying or approving the variance or waiver, the general basis for the agency decision, and an explanation of how a copy of the order can be obtained. The agency’s decision to grant or deny the petition shall be supported by competent substantial evidence and is subject to ss. 120.569 and 120.57. Any proceeding pursuant to ss. 120.569 and 120.57 in regard to a variance or waiver shall be limited to the agency action on the request for the variance or waiver, except that a proceeding in regard to a variance or waiver may be consolidated with any other proceeding authorized by this chapter. (9)Each agency shall maintain a record of the type and disposition of each petition, including temporary or emergency variances and waivers, filed pursuant to this section. History.—s. 12, ch. 96-159; s. 5, ch. 97-176; s. 37, ch. 2010-102. 28-104.002 Petition for Variance or Waiver. 28-104.004 Petition for Emergency Variance or Waiver. 28-104.005 Time for Consideration of Emergency Petition. 28-104.0051 Revocation of Emergency or Temporary Variance or Waiver. This chapter implements Section 120.542, F.S., by establishing the procedures for granting or denying petitions for variances and waivers of agency rules, and, should be read in conjunction with the provisions of Sections 120.52(18), 120.52(19) and 120.542, F.S. Specific Authority 120.54(5)(b)8., 120.542(3) FS. Law Implemented 120.542(3) FS. History–New 4-1-97, Amended 1-15-07. (1) A petition for a variance from or waiver of an agency rule shall be filed with the clerk of the agency that adopted the rule, with a copy to the Joint Administrative Procedures Committee, Room 120, The Holland Building, Tallahassee, Florida 32399-1300. (i) A statement whether the variance or waiver is permanent or temporary. If the variance or waiver is temporary, the petition shall include the dates indicating the duration of the requested variance or waiver. (3) The petition for a variance or waiver may be withdrawn by the applicant at any time before final agency action. (4) Upon receipt of a petition for variance or waiver, the agency shall furnish a copy of the petition to any other agency responsible for implementing the rule. Specific Authority 120.54(5)(b)6., 120.542(3) FS. Law Implemented 120.542(5) FS. History–New 4-1-97, Amended 3-18-98. (1) Any interested person or other agency may submit written comments on the petition for a variance or waiver within 14 days after the notice required by Section 120.542(6), F.S. The agency shall state in any order whether comments were received by the agency. (2) The agency shall maintain the comments as part of the record. (3) The right to comment pursuant to this section does not alone confer party status in any proceeding arising from a petition for variance or waiver. Specific Authority 120.54(5)(b)6., 120.542(3) FS. Law Implemented 120.542(6), 120.542(8) FS. History–New 4-1-97. (1) A person requesting an emergency variance from or waiver of an agency rule shall so state in the caption to the petition. (b) The specific facts to show that the petitioner will suffer an immediate adverse effect unless the variance or waiver is issued more expeditiously than the time frames provided in Section 120.542, F.S. Specific Authority 120.54(5)(b)6., 120.542(3) FS. Law Implemented 120.542(3), (5) FS. History–New 4-1-97. (1) The agency shall grant or deny a petition for emergency variance or waiver within 30 days of its receipt by the agency. If such petition is not granted or denied within this time limit, the petition shall be deemed approved unless the time limit is waived by the petitioner. (2) Within 5 days after filing a petition for emergency variance or waiver with the agency clerk, the agency shall give notice of receipt of the petition on its website, if it has one. The agency shall also give notice by any procedure that is fair under the circumstances or provide notice of the petition to the Department of State for publication in the first available issue of the Florida Administrative Weekly. Any notice under this subsection shall inform interested persons of the right to submit comments. Interested persons or other agencies may submit written comments on the petition for emergency variance or waiver within 5 days after publication of the notice required herein. The notice and comment requirements in this subsection shall not apply if the agency head finds that an immediate danger to the public health, safety, or welfare requires an immediate final order, which final order shall recite with particularity the facts underlying such finding. (3) If the agency decides that the situation is not an emergency, the petition shall then be reviewed by the agency on a non-emergency basis as set forth in Section 120.542(7), F.S. (4) The duration of an emergency variance or waiver shall be determined by the agency. (5) The agency shall issue a written order granting or denying the petition. The order shall state the facts and reasons supporting the agency’s action. Specific Authority 120.54(5)(b)8., 120.542(3) FS. Law Implemented 120.542(3) FS. History–New 4-1-97, Amended 1-15-07, 12-24-07. (1) Upon receipt of evidence sufficient to show that the recipient of an order granting an emergency or temporary variance or waiver is not in compliance with the requirements of that order, the agency shall issue an order to show cause why the emergency variance or waiver should not be revoked. (2) The recipient of an emergency or temporary variance or waiver shall respond to the order to show cause why the emergency variance or waiver should not be revoked within 15 days of the mailing date of the order to show cause. Failure to timely respond shall result in a final order revoking the emergency or temporary variance or waiver. Specific Authority 120.54(5)(b)6. FS. Law Implemented 120.542(1), (3) FS. History–New 3-18-98. (1) When a person inquires of the agency about the possibility of relief from any rule requirements or the remedies available pursuant to Section 120.542, F.S., the agency shall provide the information required by Section 120.542(4), F.S., within 15 days of the inquiry. (2) In its response to a request for information, the agency shall indicate the name and address of the appropriate contact person for additional information and shall indicate how a petition for variance or waiver is filed with the agency. Specific Authority 120.54(5)(b)6., 120.542(3) FS. Law Implemented 120.542(4) FS. History–New 4-1-97. You may visit our online License Verification where you may utilize the service to see if the status of your providers license and whether there are any disciplinary cases or public complaints against the licensee. You may learn more about the Complaint process and submit the appropriate complaint forms by visiting our online Enforcement website. You may learn more about reporting unlicensed activity by visiting our online Enforcement Website. You may learn more and request public record and/or disciplinary documentation or view Declaratory Statements by visiting our Public Records website.